Jai Vilas Palace is a must see place to visit in Gwalior city. Jai Vilas Mahal was built by Maharaja Jayaji Rao Scindia in 1874 and total cost was 1 car at that time. It is the residence of the Scindia dynasty. The architecture of the palace was designed by Sir Michael Filose. It is built in 1,240,771 square feet area. Jai Vilas Palace is a fine example of European architecture. The roof strength of the royal court (Durbar) was checked by hanging eight elephants to the roof for hanging a 3.5-tonne chandelier. 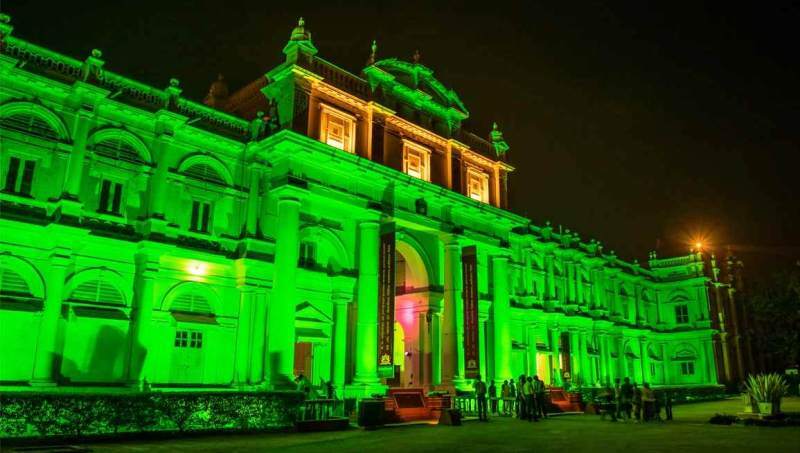 Jai Vilas Palace Museum is located inside the Palace and it is also known as the Jiwaji Rao Scindia Museum. One wing of Jai Palace Mahal was converted into the museum in 1964 in the memory of Srimant Jiwajirao Scindia by the late Rajmata Shrimant Vijayaraje Scindia. It was inaugurated by the president of India, H.E. Dr. Sarvapally Radhakrishnan on 12 December 1964 for General Public. 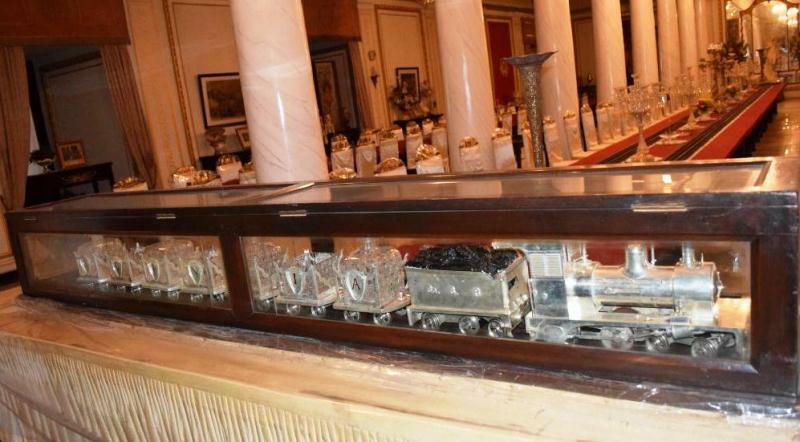 It displays, dinner table silver train, history of Scindia dynasty, memories, heritage and royal life. Entry fee to the Jai Vilas Palace museum is 100 Rs for adults, the Foreigner entry fee is 600 Rs per person. Children below 5 years are eligible for free entry. Visitors must have to pay 100 Rs for per camera or mobile. Free deposit facility for camera and mobile is available. Jai Vilas Palace timings are 10 AM to 5 PM in the summers, in winters it remains open from 10 AM to 4.45 PM. Jai Vilas Palace opening time is 10 AM and closing time is 4.45 PM or 5 PM (Depends on the season). The museum remains closed on every Monday. Due to popular demand Museum remain opened during evening hours on every second and fourth Saturday of the Month. Tickets for the same can be bought from ticket counter (6.30 PM to 8.30 PM). Gwalior city is well connected by Rail, Road and Air. Distance from Jai Vilas Palace to Gwalior Junction Railway station is 3 KM and Gwalior bus stand is also 3 KM far from here. Rajmata Vijaya Raje Scindia Air Terminal, Maharajpura (Gwalior Airport) is around 15 KM far from here. The Gwalior Junction Railway station has very good connectivity from all India, on the other hand Gwalior Airport has very less connectivity from the rest of the India. Visitors can reach here via public transport including cabs, auto rickshaws, city transport bus, cycle rickshaw, etc. If you are in Gwalior you should also visit Gwalior Zoo, Gwalior Fort and Tighra Dam.